Hearing is a sense most people take for granted. With even moderate hearing loss conversations become more difficult. Picking up social cues, and learning a new skill is simpler for those with good hearing. Working in many occupations is problematic after hearing loss. Hobbies and interests are more difficult to explore. 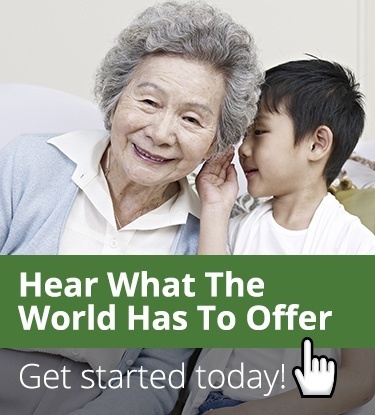 With hearing loss the world can become a lonelier, harder place. Through hearing an individual has a constant flow of communication, entertainment, and social contact. It’s easier to maintain safety when a person can hear traffic sounds, or noises that signal a possible danger. People who experience profound hearing loss often feel isolated, and can even suffer from depression. This is why it is important to safeguard hearing. Discovering the cause of hearing loss, and finding ways to enhance existing hearing helps to ensure overall physical and emotional health. Perceiving this very critical sense starts with understanding how hearing loss occurs. For the last few decades hearing specialists and doctors have seen an increase in younger patients having serious hearing loss. The typical cause arises from the exposure to excessive noise repeated over time. Hearing loss from loud noise exposure occurs after this causes damage to the tiny hair cells in the ears. Hair cells help to pick up sound vibrations and in sending signals to the brain. Avoiding excessive noise such as the sounds from some power tools, or motorcycles, and music players can aid in preventing hearing loss. For the past 3 years I've been a customer of Hearing and Vision Centre. The service is great and the quality of the hearing equipment I purchase is very good. They make sure every detail is looked after for a comfortable fit. To sum it all up they are Friendly, Professional, Customer service orientated, and life changing. It's not just a business but a passion to help others. 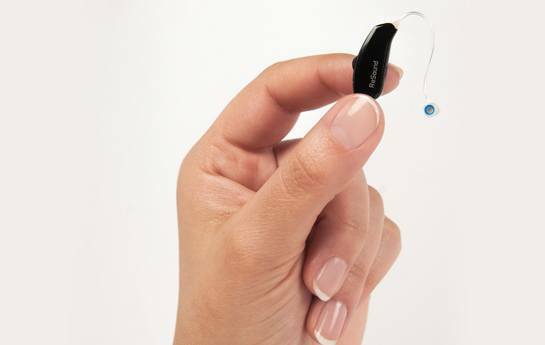 I am a long time client at hearing and vision centre, I have purchased two pairs of hearing aids. Michelle is very friendly, very polite and very helpful, She provides excellent customer service. If one or both parents of an individual suffered some hearing loss during their lifetime then the individual also has a chance of having the same issue. Much of this depends on what stage of life a family lost hearing. Someone with a parent or grandparent who suffered hearing loss early in life could have hereditary issues impacting their hearing at a young age. Those with relativities who lost some hearing as they aged should be careful of both heredity and environmental factors affecting this sense. Any disease or condition that affects the nose and throat can also affect hearing. Chronic infections of the ear can have a number of causes, and can result in some hearing loss if not successfully treated. Chronic allergies, or damage to the inner part of the ear through physical activities can also impact the ability to hear. Having a poor or insufficient diet can also cause problems with cell growth, and cause some hearing loss as a person ages. When using a radio, stereo, or television the volume should at conversational levels. If it’s necessary to shout over the device to be heard it should be turned down. Look for appliances, which have low dB ratings, as these are quieter and gentle on the ears. Move away from loud noises such as jackhammers, leaf blowers, or lawnmowers. 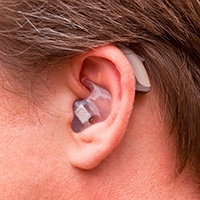 If it’s not possible to move away, or when running such equipment using ear protection can help to prevent hearing loss. Hearing and Vision Centre is conveniently located inside Kim’s Optical. Kim's optical is an independent owned and has been servicing the Toronto community since 1990. Hearing and Vision Centre was founded in 2009 to help provide quality hearing services to the community.